This week updates for Skype for Business, SharePoint Online and Office. Modern document libraries have been enabled for First Release customers on an opt-in basis for the past two months. Modern libraries offer many UI enhancements, such as thumbnails; uploading and links; inline creation of custom view and columns; and pinning. Microsoft have replaced the Ribbon with a clean, responsive command bar. Finally, modern libraries are becoming the new experience for files saved in Office 365 groups. We’re going to begin updating aspects of the document library experience on June 7, 2016, for First Release users, with worldwide rollout over the following month. Skype for Business Cloud Connector Edition is a new Office 365 feature. This feature is now available for you to install. Skype for Business Cloud Connector Edition connects an on-premises PBX or PSTN circuit with Skype for Business Cloud PBX operating in Office 365. 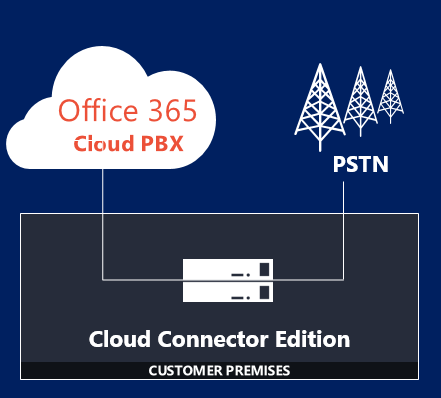 This allows you to deploy the Cloud Connector Edition on-premises, connect it to your existing PSTN operator, and have it operate for calls made by users enabled with Cloud PBX. Download the Skype for Business Cloud Connector Edition, now, and connect to your existing PSTN operator. Please click Additional information to learn more. 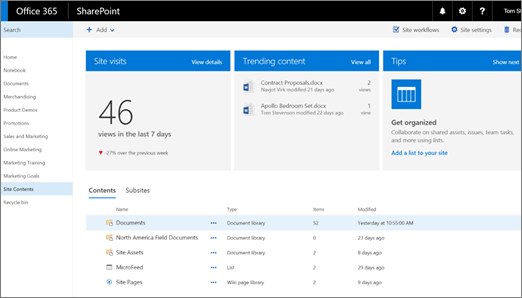 Microsoft are refreshing the SharePoint Online site contents page – a ‘behind the scenes’ page that helps site owners, members and visitors better understand the activities occurring within each site. This page has been redesigned to provide visibility on site activity and top-viewed content, along with an easier to navigate site map, user tips and clearer access to add lists, document libraries, subsites and apps. Microsoft are committed to evolving your intranet experience. Please use the feedback button on the page to let them know what you think. Microsoft will be gradually rolling this out to First Release customers beginning June 1, 2016, and will release to all other customers over the following months. On May 9th, microsoft identified an issue with the Microsoft-initiated upgrade experience of Office 365 ProPlus, to the Office 2016 version. If your users are running the Office 2013 version of Office 365 ProPlus, your users will not see the “GET THE NEW OFFICE” notification that appears just under the ribbon. If you want Microsoft-initiated upgrades as soon as possible, there is no action at this time. The issue found in the May product update (PU) is expected to be resolved with the June PU. If you do not want Microsoft-initiated upgrades for now, you can take steps to prevent the upgrade but still get updates from the CDN. Once you’re ready, reverse these steps. If you never want Microsoft-initiated upgrades, you can take steps to prevent the upgrade but still get updates from the CDN, and then choose another upgrade method, such as from an internal network using the Office Deployment Tool. You can continue to receive updates for the Office 2013 version of Office 365 ProPlus until February 2017. After February 2017, there will be no additional updates for the Office 2013 version. Please click Additional Information to prepare to upgrade Office 365 ProPlus to the Office 2016 version.